Glucose Levels: How Does It Impact My Health? Blood sugar is the amount of glucose present in the blood. Glucose levels rise after meals and are usually lowest in the morning, before the first meal of the day. Failure to maintain blood glucose in the normal range leads to conditions of persistently high (hyperglycemia) or low (hypoglycemia) blood sugar. Our body's failure to metabolize carbohydrates results in the basic cellular failure to metabolize glucose. This causes the cells of our body to be unable to transport glucose from the bloodstream to the interior. The glucose then either remains stored as body fat or glycogen, and/or is urinated out of the body. Studies show that control of high blood sugar can significantly help decrease chances of several very serious conditions. They certainly indicate that people, particularly over the age of 40, should have yearly blood glucose tests to rule out diabetes, and the development of greater risk factors for stroke, cancer and cognitive impairment. Screening is especially important for people at high risk of developing diabetes, such as those with a family history of diabetes, those who are overweight, and those who are more than 40 to 45 years old. Diabetes: A high glucose level can indicate early diabetes. Identifying a high glucose level in a person with no symptoms of diabetes and implementing a treatment program that will control the blood sugar can reduce the risk and consequences of diabetes - specifically damage to the kidney, heart, blood vessels and eyes. An exercise program and some weight loss might lower the glucose level to normal and prevent diabetes from occurring. Stroke: In the 2002 study, analysis of a group of over 500 patients showed that 40% of patients suffering their first stroke had high glucose levels. Additional mortality in this group was increased. As well, patients with high glucose levels were more likely to have complications after a stroke, and were likely to have much longer hospital stays following a stroke. The study indicates that reducing high glucose levels may also reduce chance of stroke. Cancer: A study published in 2005, in the Journal of the American Medical Association (JAMA), found those with high glucose levels to be at increased risk for developing cancer and dying from cancer. A higher death rate for all cancers, approximately 29%, was reported in these patients. As well increased risk of cancer of the pancreas, esophagus, liver, cervix, and colon were shown. Dementia: The University of California-San Francisco evaluated women with high glucose levels in regards to risk for development of dementia or mental impairment with aging. Their study, published in 2006, showed a distinct correlation between high glucose levels and dementia in women. In fact, their results suggest that women with high glucose levels increase their chances of developing dementia by an astounding 40%. Gout: Many people with gout have insulin resistance, a prediabetic condition in which the body's cells don't properly use the glucose-transporting hormone insulin. This raises levels of insulin and glucose, impairing the kidneys' ability to remove uric acid from the body. Almonds: Research published in The Journal of Nutrition shows that eating almonds may play a role in avoiding blood sugar spikes after eating a carbohydrate-rich meal that would raise blood sugar levels. The same study shows that eating almonds may help prevent oxidative stress. Lessening after-meal surges in blood sugar helps protect against diabetes and cardiovascular disease, most likely by lessening the increase in cholesterol-damaging free radicals that accompanies large elevations in blood sugar. This is one reason why low-glycemic index diets result in lower risk of diabetes and heart disease. Barley helps stabilize glucose levels and is great for use by diabetics. Please note that barley contains gluten and must be avoided if you are a celiac patient or allergic to barley. Cod liver oil has been used in a number of trials with both insulin-dependent and non-insulin-dependent diabetes. In both conditions cod liver oil improved glucose response and other markers of the disease.1 Vitamin A in cod liver oil helps promote healing and protects the retina, both problem areas in the diabetic patient. Ginseng: A review of the research on supplements for managing blood glucose in people with prediabetes or diabetes (Ref. 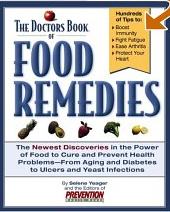 : Diabetes Care, April 2003) found the strongest evidence for American ginseng. Research to date suggest that this herb may help lower blood glucose levels after meals and reduce average glucose levels over a three-month period. But larger, longer-controlled studies are still needed. Flax Seeds: Flaxseed contains a high percentage of soluble fiber, a component of plant cell walls that slows the absorption of glucose from food in the stomach, reduces the glycemic index and keeps blood sugar on an even keel. Other excellent sources of soluble fiber are beans (kidney, lima, black, navy, pinto), legumes (peas, lentils), oatmeal and vegetables. A good way to eat flaxseed is to mix a handful ground flaxseeds in with your yoghurt or beverage.